The Newydd Stud is situated at Tynewydd Farm, Llandefalle, Mid Wales, nine miles north-east of Brecon and approximately 12 miles south-west of Builth Wells, and is currently home to the third and fourth generations of Welsh Cob breeders, William and Jayne Rees and their sons Lloyd and Morgan. 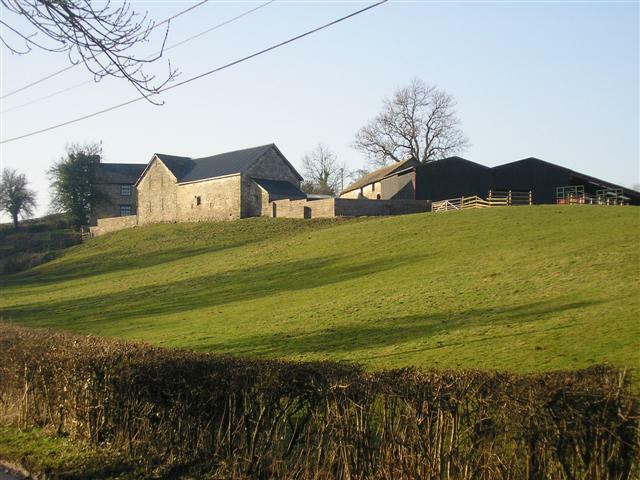 Tynewydd is a family run farm with William's father and brothers actively involved. We currently run a herd of 150 head of pure limousins, approximately 50 of which are pedigree stock, and a flock of approximately 1100 texel x mule ewes. 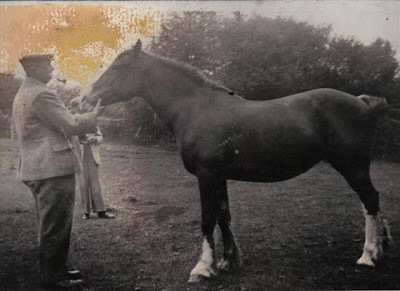 Welsh cobs have been bred at Tynewydd for the last 120 years or so, and it is here that the famous Brenin Gwalia was foaled in 1934 in the very stable that houses our current resident stallion, Newydd Lloyd. 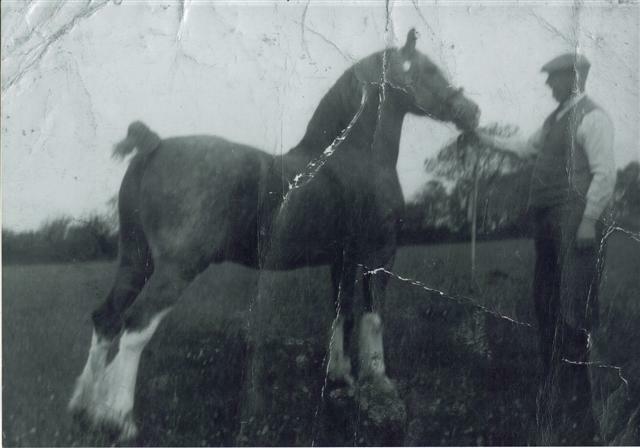 Brenin Gwalia needs no introduction, being probably the most famous Welsh Cob ever foaled. By Gwalia Victor out of Cymraes (a Mathrafal Brenin daughter), he was sold at six months to David Rees of Penuwch, Cardigan and the rest, as they say, is history! Newydd Lloyd 38177 is by Nebo Brenin and out of Newydd Cymraes (Cwnlle Dolly x Tregare Spring Magic by Nebo Black Magic). 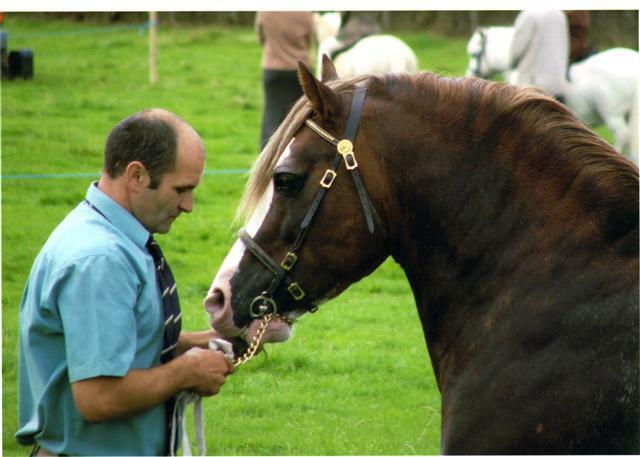 Although he has only been lightly shown he has had some success, winning Lampeter Stallion Show as a yearling in 1993 and going on to take the Reserve Youngstock championship that same year. He has gained many championships and supreme championships since then and stood second in his class at the WPCS Centenary Show in 2002. Visitors are very welcome (we are only 12 miles from Builth Wells and the Royal Welsh Showground) but please ring first to avoid disappointment. Who has heard of her? 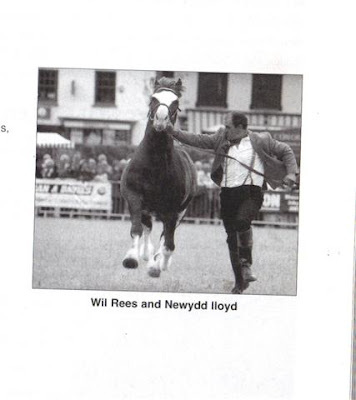 If anyone knows anything about the beautiful poem above, which appeared in the 2007 Welsh Pony and Cob Journal together with the picture alongside, we would be delighted to hear from you!